Of all the summer months, July just might be the best. Summer break is in full swing, and fresh produce is at the height of the season. In July, the market is overflowing with sweet corn, delicious melons, and berries so sweet they taste like candy. The rainy months of winter and budding months of spring hit full bloom by July. We are rewarded with the freshest and most delicious produce of the year. 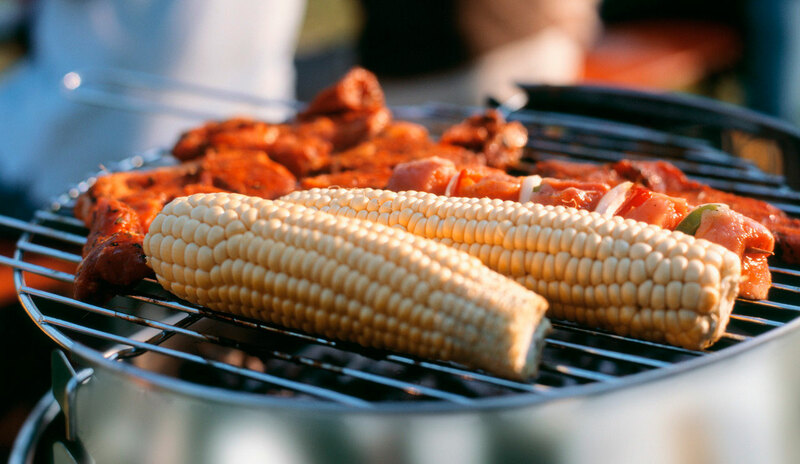 The days are long and late afternoon BBQs seem to taper off into magical evenings with friends and family. It’s a time for relaxation, celebration, good food, and shared memories. We’ve worked hard to create recipes that match the quality of our products. We hope that you make the most of your Zojirushi products this summer, and use our recipes as a guidebook to help you along the way. With an abundance of fresh ingredients this time of year, there’s no doubt you’ll have plenty of inspiration. Zojirushi is so much more than rice and tea, we make it a point to always think outside the box, and hope that you do too. Here’s to a wonderful and healthy July full of great times and culinary creativity! Umami might be the biggest idea to enter the food world in decades. It’s a word everybody loves to use, an “adjective” sprinkled on menus across the country, but does anyone actually know what it means? Umami is a taste, like salty, sour, or sweet. Most of us in the US are familiar with the four basic tastes: sweet, sour, bitter and salty. These are the taste margins that most Americans have grown up within and the structure that’s shaped the American palate. That was, of course, until umami entered the zeitgeist, and changed the game. Umami is now considered to be one of the five most basic tastes together with salty, bitter, sour and sweet. In Japanese, it’s a noun that comes from the adjective umai “delicious” and the noun mi “taste” that translates, quite literally, as “deliciousness”. How do we pinpoint this flavor profile? Something so new and foreign yet so widely accepted and commonly described, a great place to start is with miso. Miso is a traditional Japanese seasoning \that is made by fermenting soybeans, rice and sometimes barley with salt and fungus. It is used in all types of Japanese cooking from sauces and soups, to spreads and meats. It comes in different colors and variations and can be described as salty, sweet, sour and earthy. It is a complex and intense item with a distinct and unusual flavor profile. Today Miso is used in all kinds of cooking from savory to sweet. 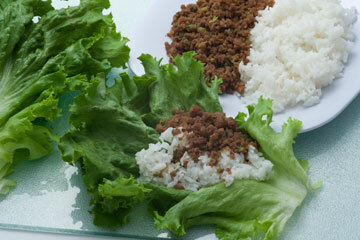 It’s a great way to add depth to meat, veggies, salad dressings and even desserts! And, the best part is, it won’t break the bank. If you’re looking to try something new this month, pick up a few different kinds of Miso, and have fun with it. You might be surprised with what you create! The weather is one of the great perks of July. Food tastes better, days are longer and the magic of summer is everywhere. There’s plenty to do in all parts of the country during July whether it’s a picnic in a field, dinner at the beach, or a snack in the middle of a long afternoon hike. Wherever you are and whomever you’re with, our Mr. Bento® Stainless Lunch Jar will be the perfect accessory for all your summer fun. Four microwavable inner bowls, a forked spoon and a carrying bag will allow you to take the best from your kitchen with you. And the best part? 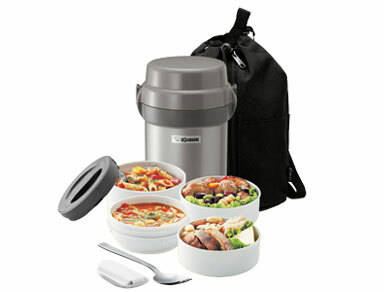 It will keep your food hot or cold without using a microwave or refrigerator. It’s a great weekender item and also perfect for work, school and summer camp. This is a versatile product and a must for adventurers and food lovers alike!